Being a single mother is not easy, trying to raise a child, work, and keep up with all the duties of daily life can be overwhelming. With all that stress and work in life, the dream for many single mothers of owning their own home can seem out of reach. Luckily, there are options for home loans for single mothers and other assistance to help them become homeowners. Single mothers have quite a few options when it comes to buying a home. 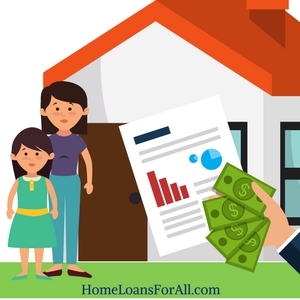 This is generally a mix of loans options that are easier to get or more affordable than traditional loans, or grants and incentive programs that can help ease the burden of purchase. In a lot of cases, a home buyer can use multiple of these in conjunction with each other. For example, they might be able to secure a low down payment loan through the FHA, and then receiving additional incentives through a tax credit at the end of the year. For the single mother, there are multiple programs available that can make the home buying process easier. Not all of these will be applicable to everyone though, so it’s important to read through them and determine your eligibility. Here are some of the most popular programs, how they can help, and what it takes to qualify. FHA loans are some of the most popular loan types among first time home buyers and those having difficulty acquiring a traditional mortgage. 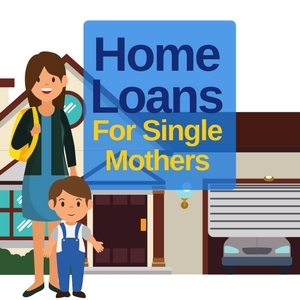 While not strictly for single mothers, it is definitely a loan type worth considering. With this type of loan, the FHA backs it or guarantees a certain portion of the loan in the case of a default. This lessens the risk greatly for the lenders, which is then passed onto the borrower in less strict requirements for both down payments as well as credit scores. To start, FHA backed loans only require a 3.5% down payment, which is significantly less than the standard 20% for traditional mortgage loans. This makes it much easier to save up a down payment, especially for a single mother with only one source of income. You are always free to put down more, and doing so can help offset an issue in another category (such as a low credit score) or help secure a lower interest rate. Next, the credit score requirements are much more lax. Generally, lenders look for scores of 580 or more, but many are willing to drop to as low as 500 for a larger down payment. This creates a good opportunity for lower credit score individuals to secure a mortgage. The FHA loans also are very generous in the debt to income ratio, generally looking for 41% or less. 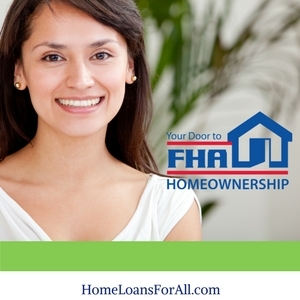 Outside of this there are no specific requirements for who can take out a FHA backed loan. Many believe it is only for first time home buyers, but that is not true and anyone regardless of home history can apply for one. To do so, look for a lender that is specifically licensed to work with these types of loans. It’s also important to take note that the property itself will have to undergo an inspection by a licensed FHA inspector. Certain major issues can prevent a home sale from going through under this type of loan unless the issues are fixed. For single mothers that are veterans, the VA loan program is an excellent choice on the path to affordable housing. VA loans are loans backed by the VA specifically for veterans and their families, and the benefits can be used multiple times over an individual’s lifetime. The major benefits of a VA loan are no down payment and low interest rates. Due to the backing of the VA, loans taken out in this program are able to done with 0 down payment. This is huge as one of the most difficult parts for single mothers is coming up with the large sums needed for a down payment. 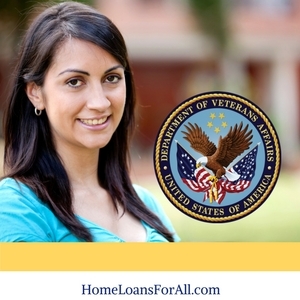 VA backed loans also come with some of the best interest rates available. This is a huge money saver as even a few percentage points can add up to tens of thousands over the lifetime of the loan. This once again is fantastic for single mothers as lower interest rates mean lower payments, helping them stretch their income further. The VA loan program, as the name suggests, is only open to veterans and a few select dependants. This extends to most branches of the military. While the requirements for this type of loan are more strict, the benefits of it make it an excellent choice for anyone who does qualify. Like the FHA loan, VA backed loans also require a home inspection by a licensed inspector. They will go over the house and look for major health or safety issues that must be fixed before the home can be sold. They’ll also offer an appraisal, which will attempt to put a fair market value on the home, and also help keep the buyer from overpaying. The USDA Loan program is a special program available for those looking to purchase a home in certain rural areas of the country. For thoses that qualify, they’ll be able to get a loan for the entirety of their home without having to put any money down. In addition to requiring no down payment, mortgage insurance on a USDA loan is significantly cheaper than others. Due to the large guarantee from the government on these type of loans, the lenders are able to give a bit of leeway. Both of these combined help single mothers and other low to moderate income families purchase a home without breaking their bank. The first big requirement for this type of loan is credit. In most cases, borrowers need to have a credit score over 640, which is a bit more than some other programs. While being below this won’t necessarily exclude you, it will make things more difficult and likely require a more in depth review of your ability to repay the loan. There’s also some income requirements, making too much can exclude you from the program as it is meant for low to moderate income individuals. The next requirement is location. Unlike some other more universal options,the USDA loan is specifically for people looking to purchase homes in rural communities. The USDA provides a map of the current locations available, which currently sits at upwards of 97% of the entire United States. For those looking to move to one of these locations, the USDA loan is a great choice. While the no downpayment is certainly nice, having the reduced mortgage insurance payment is quite good as well. Some families report it saves them upwards of $100 per month than had they gone the traditional route. 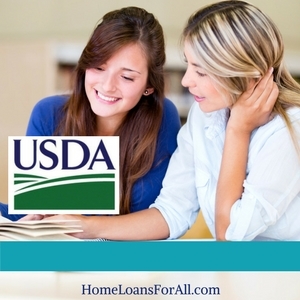 Read our article on USDA Loans vs FHA Loans here. There is also always the option to take a conventional mortgage. While traditionally a down payment of 20% was considered the minimum, lenders have opened up to those coming with less. They’ve also been a bit more lax on credit requirements, although having good credit can only be a benefit in mortgage negotiations. The biggest downside to getting a conventional loan with under 20% down payment is the requirement to then hold private mortgage insurance or PMI. PMI is an additional charge on top of the loan payment that helps protect the bank in case of a default. Even if you have stellar credit, there’s no way around this. Because of the required PMI or large down payment, conventional mortgages are likely to be last on the list of options. That said, they are by far the most open, and those that don’t qualify for any of the other options would still be able to apply for a conventional mortgage. Not all sort of aid comes in the form of loans. In many states, there are programs to help single mothers, or low to moderate income individuals secure a home loan. In some cases, these programs come in form of a grant, which does not need to be repaid like a loan. A lot of these programs for example help with down payments, and can help cover a percentage of the necessary down payment. This in turn reduces the money you need to borrow, which reduces your monthly payment, and ultimately saves thousands of dollars. Many of these are offered at the state, county, city, or even neighborhood level. Many of these programs are offered towards low to moderate income families, so they might not always say specifically for single mothers. It pays to do a bit of research to see what sort of grants and programs are in your area. It’s also a good idea to talk to an agent or lender, and see if they can help by pointing out any such programs. Many states also offer some sort of mortgage credit or similar tax write off. Many of these are exclusively for first time home buyers, and allow you to write off a portion of home ownership on your taxes, typically in interest paid on the mortgage. What this allows you to do then is adjust your withholdings on your income, which in turn leads to higher take home pay. This then looks attractive to lenders and can help secure you the loan. Depending on your profession, there might also be additional discounts or grants available. Many states run programs that provide housing assistance for teachers, police officers, firefighters, and other public servants. These sorts of programs are great ways to help reduce the burden of the mortgage and can help with everything from the downpayment to the interest rate. For example, Texas has the Homes for Texas Heroes Program. Among other things, this program provides down payment assistance of 3-5% of the loan which does not need to be repaid. Many states or cities offer similar incentives, so it pays to do a little bit of research and see what options are available in your area. Not all of these programs are state wide, and some might only be for a specific city. For example, Detroit Michigan offers heavy discounts to teachers and school employees purchasing homes in the district they work. The key is to keep your eyes open, as these sorts of programs are all around the country and can add up to big savings for you. As a single mother buying a home can see like an unreachable goal, but it doesn’t have to be. With the large number of loan programs available there is assistance at every step of the way. Whether it’s the down payment, or the price of the house itself, there are multiple programs that help to make buying a home more affordable. The important thing is to do a bit of research to find out what’s available in your area. You might just be surprised how affordable owning a home can be! What’s the Best Way For a Single Mother To Buy a Home? It really depends on the situation of the buyer. Due to the large number of options, there’s likely to be a different best option for each individual. For example, the best option for a veteran is likely to be the VA backed loan, but that doesn’t apply to everyone. Yes! Child support can count as income when applying for a mortgage loan. Make sure to provide proof of payments to the lender, as they will want to be reasonably sure that you will keep receiving them. 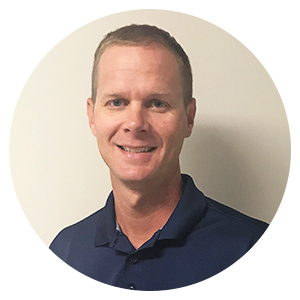 What Programs are Available Near Me To Buy a Home? It’s difficult to answer as there are many programs that are specific to state or smaller. While the federal programs like the FHA and VA loans are available country wide, each state and city is likely to have its own set of incentives. It’s definitely worth doing a little research, or speaking with an agent familiar with the programs near you. 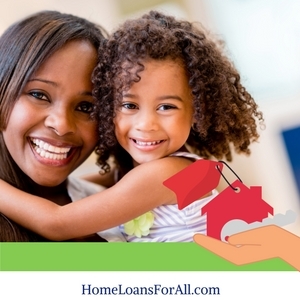 Get Pre Qualified for a Single Mother Mortgage Today – Click Here.